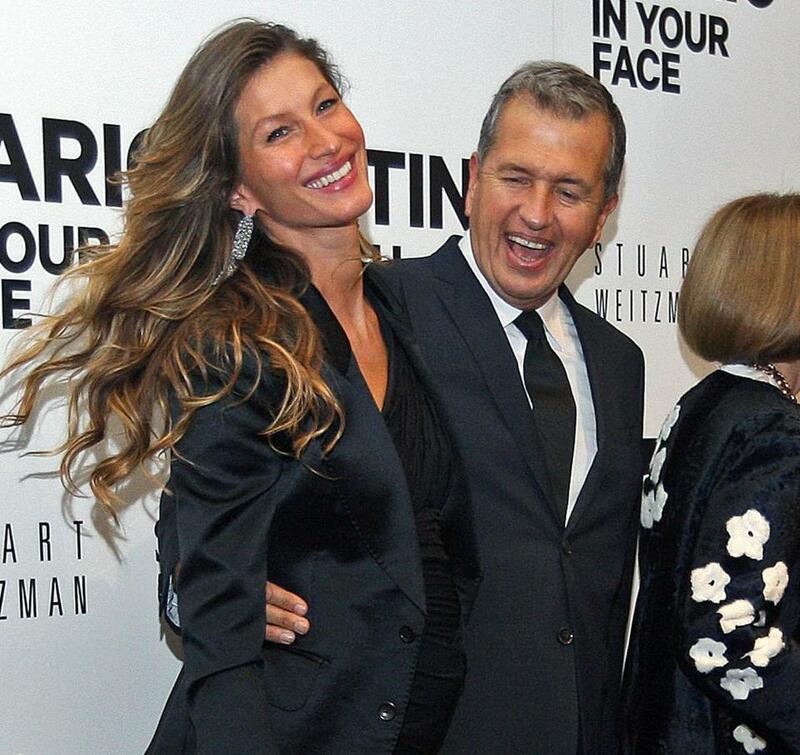 Gisele Bundchen and Mario Testino at the MFA on Wednesday night. Mario Testino, the subject of a provocative new exhibit at the museum. Gisele Bundchen, the Brazilian-born supermodel who’s BFF with Testino, made the scene, as did angular A-list models Karlie Kloss, Constance Jablonski, Bianca Balti, Candice Swanepoel, Edita Vilkeviciute, Alessandra Ambrosio, Erin Wasson, Sigrid Agren, Joan Smalls, and Kiara Kabukuru. Also making their way to the MFA for the private party were museum director Malcolm Rogers (who beamed “This feels like New York’’), Vogue editor Anna Wintour, Hamish Bowles, Vogue’s international editor-at-large, Derek Blasberg, editor-at-large at Harper’s Bazaar, Testino’s brother Giovanni and sister Carla, Nadja Swarov-ski, a member of the museum’s executive board, Jane Weitzman, wife of exhibition sponsor Stuart Weitzman, Visionnaire’s Cecilia Dean, and actress Olivia Palermo. Earlier Wednesday, Testino stopped by the MFA to answer a few questions about the exhibits, “In Your Face” and “British Royal Portraits,” which go on view to the public beginning Oct. 21. The celebrity shutterbug said that while editing photos of Tom Brady’s lady, he always scans for problems or imperfections. Word had it that Testino — not one to rest on his laurels — was planning to do a photo shoot for VMAN magazine at the Mandarin Oriental between Wednesday’s press conference and the evening gala. With so many top models in town, who could blame him? Speaking of VMAN, although Testino’s recent shot for the mag of Tom Brady posed with an alarmingly upset Doberman has gotten plenty of attention, the photographer joked that he is not so familiar with the famed quarterback. “He plays football, right?” said Testino, a native of Peru. As it turned out, Brady couldn’t make it to Wednesday night’s party (he’s got a big game against the Jets to worry about), but his wife wouldn’t have missed it.